You can search for volunteering opportunities by scrolling through the recent posts below. Or if you wish to filter by category you can click on the right-hand side categories and filter by skills and roles or by the types of group you might like to volunteer with. If you want to search for a specific word or phrase please use the search box at the right-hand side. 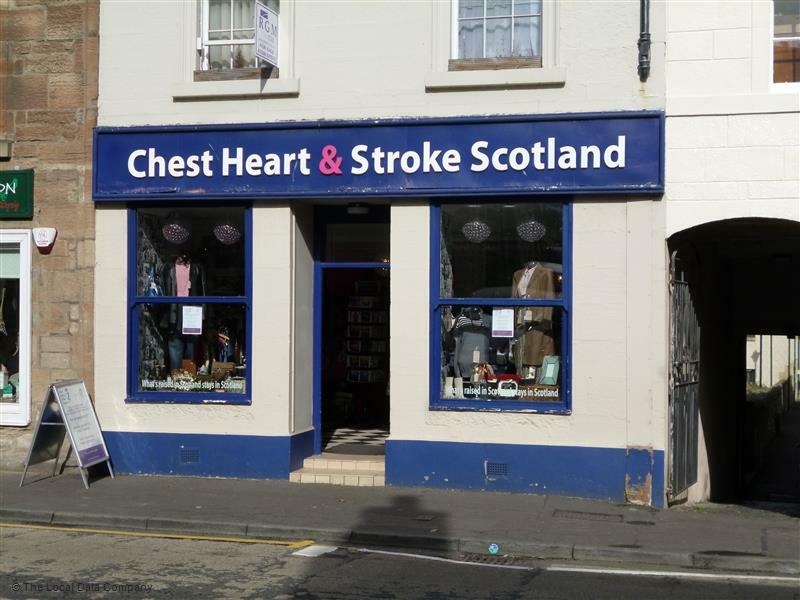 Linlithgow Chest Heart & Stroke Boutique Charity Shop is a great place to volunteer. We have a range of roles: Display & Merchandising Assistants, Shop Floor Assistants, Stockroom Assistants, Enhanced Volunteers & Admin Support. Full Training in all aspects is provided along with Manual Manding and Gift Aid procedures. We are open 7 days per week. 10am- 5pm Monday to Saturday. 11am – 5pm on Sundays. We have morning and afternoon shifts with flexible hours and days. Pop into see us at Chest, Heart & Stroke 220 High Street Linlithgow to pick up an application form. For more information on working together – speak with Jill Hudson, Manager. BACKGROUND: In 2017 Linlithgow Heritage Trust received grant funding from HLF, LEADER, West Lothian Council and other bodies to support its move from Annet House to the new Linlithgow Partnership Centre. This year will see the new Linlithgow Museum open. It promises to be an exciting time for the Museum as it becomes a central part of the local community. As we continue to move forward we are looking for trustees with a range of skills that will help the Museum develop and achieve it strategic goals. Linlithgow Museum will be fitted out with a bespoke community space and three exhibition areas providing a fresh new interpretation of the town’s history. Community participation will be at the heart of the museum. Local people and volunteers have already played an instrumental role in planning and beginning to deliver an ambitious Activity Plan of events and activities which will engage the local community with heritage. Linlithgow Heritage Trust are seeking unpaid volunteer Trustees to join their board. Trustees are expected to play a full part in the activities of Linlithgow Heritage Trust. The role of the Board is to set the strategic framework for the organisation, monitor and evaluate the performance of the organisation, including financial performance; and ensure the highest standard of governance. The Board meets at least six times per year. Trustees are also requested to participate in various sub committees, working groups, the Annual General meeting and ongoing training events as required. ensure the financial viability and development of the organisation. provide a financial report to members on an annual basis. ensure appropriate financial goals are set for the resources available to the organisation. Want to be a Trustee for your local Heritage Trust? Gardening, whether as an individual, with friends or as part of a group – no prior experience required and training will be given as necessary. Currently, we particularly need help to sustain the Water Yett gardens (until now the devoted work of Eileen Murray), so some ‘green fingers’ may be a help there! We would also like someone willing to volunteer to work with Scouts, Guides and similar groups on gardening projects and also to help with the floral gardens around the Mill Road crossroads at Linlithgow Bridge. Public consultation – helping with forthcoming events to involve the public and schoolchildren in our new public art projects. General labouring work such as planting trees, cutting turf, helping at our Clarendon base, cleaning up the town prior to judges’ visits, litter picks, etc (much of this is group working). Preparatory work for visits by judges from Beautiful Scotland or Britain in Bloom, including help with listing improvements to be made, preparation of the judges’ portfolio, compilation of a ‘Powerpoint’ presentation on the wonders of Linlithgow, organisation of the judges’ route and those attending, and catering arrangements. Working with Local Businesses, particularly to encourage floral displays in the High Street. Fundraising and Publicity – we need help with the organisation of fund-raising events such as our Autumn Fair and our stall at the Advent Fayre – and new ideas for raising money! We would also like help with our website, social media activity and keeping our input to this website up to date! Working with Young People – we could do with one or more new members on our Youth Working Group, dealing with such matters as liaison with schools and children’s and young people’s voluntary organisations. If you are at all interested in any of these volunteering opportunities, please do not hesitate to email us at mailto:bbl@lbt.scot. Do you have a few hours to spare? Interested in building skills, learning about Linlithgow and getting the new Museum up and running? We are looking for volunteers who can help develop and run our social media channels. 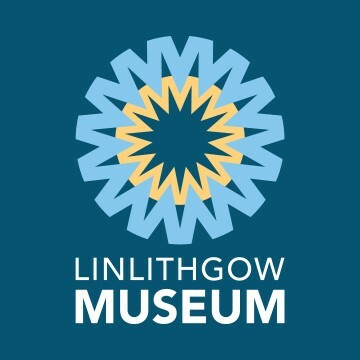 We currently run a Facebook (@LinlithgowMuseum) and Twitter (@LinlithgowH) but we are looking for people who can help add content regularly and come up with creative ideas on how we can attract more followers. Volunteers will be given a mentor who will provide support and advice. We will also offer a reference to volunteers. The role might appeal to someone interested in learning about museums, social media or marketing. Linlithgow Museum is opening in the new Partnership Centre as part of an exciting. Volunteering with us is a chance to be part of this fantastic project that will bring the history of Linlithgow right to the town centre and result in a new museum being opened in 2019. In 2019 a new museum for Linlithgow will open and we need you help! We are looking for volunteers who are able to regularly give us three hours of their work to be Welcome Hosts. This is incredibly important to the Museum as you will be the first person visitors meet and is vital to ensure we can open and run all year. The role might appeal to someone interested in learning about museums, social media or marketing. plenty of tea and coffee! Volunteers will be given a mentor who will provide support, advice and can also offer a reference in the future. Linlithgow Museum is opening in the new Partnership Centre as part of an exciting. Volunteering with us is a chance to be part of this fantastic project that will bring the history of Linlithgow right to the town centre and result in a new museum being opened in 2019. Like Shopping? We’d love you to help us in our Linlithgow shop! Helping people in crisis begins at your local British Red Cross Linlithgow charity shop. Full of gifts, clothes and even the odd vintage gem, our 330 shops across the UK are home to over 6,500 volunteers and 700 paid staff. Our team is bright and bubbly, and we love meeting people from all walks of life. Our aim is to serve every customer with a smile, and to make sure everyone that visits us has a great experience. We’re always aware that every penny raised in our little shop goes straight to helping someone in crisis. Our shop volunteers are the first point of contact for customers when they enter our shops. You will be a welcome greeting for all customers providing assistance and ultimately helping increase donations. You will provide invaluable help through the running of the shop, keeping it stocked and attractively displayed. You can get involved as much or as little as you like by: sorting out stock; putting your own stamp on the shop displays or getting trained in order to serve customers at the till. Being part of a huge fundraising effort is very motivating, you provide the best service possible by representing the British Red Cross to the local community and raise as much money as possible for the organisation. You even get a 20% discount on donated goods. Find out more by reviewing our website. Passionate about Linlithgow and want to become a Trustee? Do you have any free time during the day and like to drive?